NYC, 03/11/2019, 6:30PM. 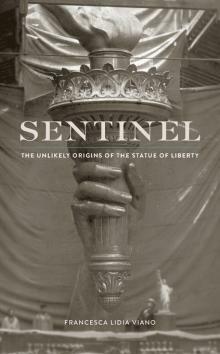 Sentinel: The Unlikely Origins of the Statue of Liberty. Francesca Lidia Viano speaks about her new book. Few structures have become as iconic, for the city and nation, as the Statue of Liberty. Yet its own history remains obscure. In this new work, “the fullest account yet of the people and ideas that brought the lady of the harbor to life,” Viano, a Fellow at Harvard's Weatherhead Center for International Affairs, discusses the contradictory mix of ideologies and values behind it.